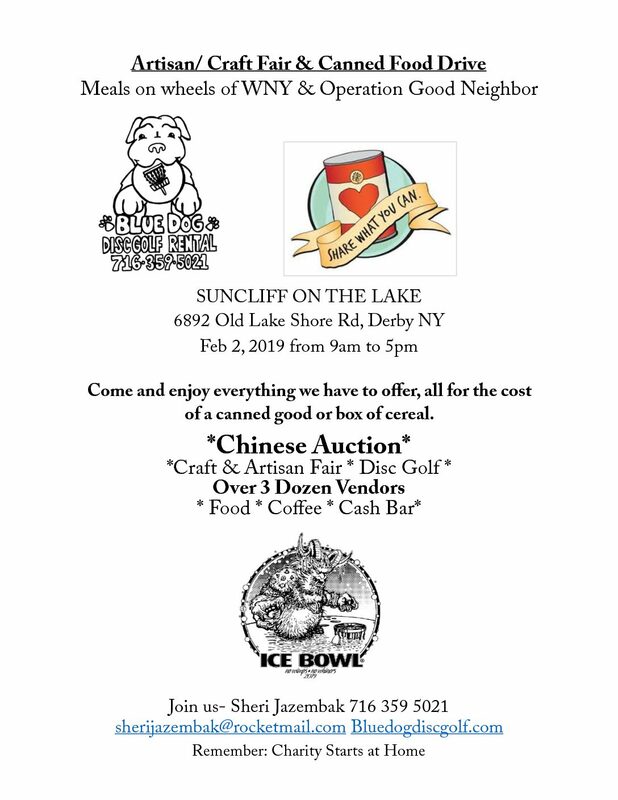 Suncliff on the Lake is holding an Artisan/Craft Fair and Canned Food Drive in cooperation with Meals on Wheels of WNY and Operation Good Neighbor! Entry Fee is a box of cereal or a can of food. Come and Enjoy the crafts, art, food and Chinese Auction. Play a round of Disc Golf or just come and enjoy a day out at beautiful Suncliff on the Lake!